New Hampton, IA Nickel Stabilization - Nutri-Ject Systems, Inc.
Nutri-Ject Systems, Inc. was hired by the City of New Hampton, IA to remove and land apply biosolids containing high levels of nickel. Nutri-Ject Systems developed a blending process to reduce the nickel in the biosolids in order to comply with all limits set forth by the EPA and the Iowa DNR. 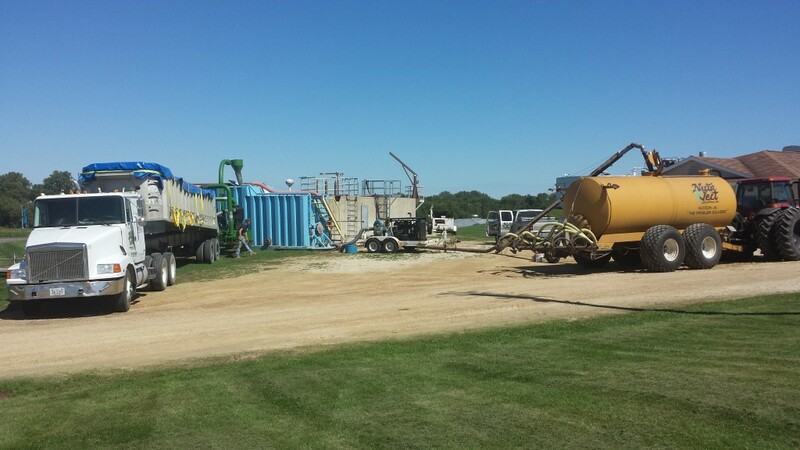 Through a partnership with the Iowa DNR and local land owners, Nutri-Ject Systems was able to inject 500,000 gallons of biosolids on permitted fields around the New Hampton area. Our process provided a much needed service to the City and 100% of the crop fertilization for the participating local farmers.